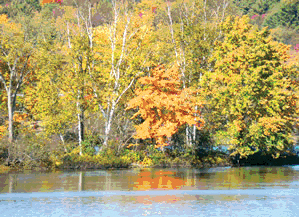 Sturbridge Camping Club at Quinebaug Cove offers great fun for all wanting to camp on the 420 acre Brimfield Reservoir. We offer our guests free boat ramp access, a canoe trail, and some of the best fishing in the state (bass, trout, pickerel, and record size northern pike!) If you really want to get away and relax, we offer on site rental trailers and cabins too! Brimfield Antique show, Old Sturbridge Village, Basketball Hall of Fame, Boston Children's Museum, Six Flags New England, Mass Wildlife, Arrowhead Acres, Zoo England, New England Aquarium, Hyland Orchard and Brewery. 60 ft. Olympic size swimming pool, recreation center, game room, camping supply and souvenir store. Lunch and snack counter. Cable TV at all sites. Crafts for children and adults, hayrides, games, tie dye, special events, music and dancing scheduled every weekend. Reservations accepted through RPI's Central Reservation Office. 30 day cancellation required. Check-in time between 2 p.m. and 8 p.m.
Check-in in between 2 pm and 8 pm. Cancel at least 14 days prior to arrival to avoid a fee. From the intersection of I-84 and US 20, take US 20 west 3 miles, take first left after the lake. GPS: 42.104776, -72.148528. Get directions from Google Maps.